Which vegetables do you usually add to your risotto? Of course, at the top of the go-to veggies list would be the “holy trinity” that is soffritto. Right? And maybe you add mushrooms and cheese, too. But have you ever tried cooking Risotto with Fennel before? If you haven’t, you should try it out. Need some bit of persuasion? Read on then… and be persuaded. Before anything else, you should be aware that fennel is utilized mostly as an herb, instead of a vegetable. This is because its main contribution to dishes is its aromatic characteristics. Different parts of the fennel plant are edible and can be used for cooking, however. Among them are the leaves, stalk, seeds, and bulb. And what does fennel smell like? As with many who have tasted fennel, it has the same fragrance as anise seeds or licorice, but its flavor is slightly sweet and a tad spicy. It has even been used for Italian sweets such as taralli and ciambella. Some have also described it as a gentler cousin of celery, only less stringy. Considered a highly versatile ingredient, it can be added raw or uncooked to fresh garden salads. Now the best way to serve them when raw is to cut them into really thin slices, and dress them in lemon juice, olive oil, and a pinch of salt. This deliciously crisp fennel salad will be great with some soft cheeses as well as grilled seafood. When cooked, however, fennel lends a whole new flavor to a dish and brings a new amazing adventure to the palate. Gone is the crispiness, its flavor, on the other hand, becomes greatly enhanced. In fact, if fennel is cooked the typical Italian style, it transforms into one of the most delightful savory side dish you’ll ever taste. How to cook it the Italian way? First, you have to boil them briefly in salted water, drain, and arrange them in a baking dish. Season with salt and pepper, cover with Parmesan cheese, and bake for half an hour. And if you add besciamella sauce, like the one you make for lasagna, to the mix before putting the Parmesan cheese and baking it, you get some scrumptious Fennel Gratin. Foeniculum vulgare (fennel’s scientific name) has long been regarded a precious herb in Mediterranean, as well as some Asian, cuisines. Historians believe it was actually cultivated by ancient Romans. On top of being an important culinary ingredient, however, it also has a ton of health benefits. In fact, Pliny, an ancient Roman philosopher and author, mentioned the plant as a treatment to 22 various illnesses. Fennel is loaded with vitamin C, which not only boosts your immune system and strengthens the respiratory system but also reduces inflammation and helps fight free radicals in the body. This is probably why it was used as a cure for congestion and conjunctivitis by ancient Chinese. Another element fennel has tons of is dietary fiber, which helps control blood sugar, lowers cholesterol levels, and aids in maintaining the health of your digestive system. 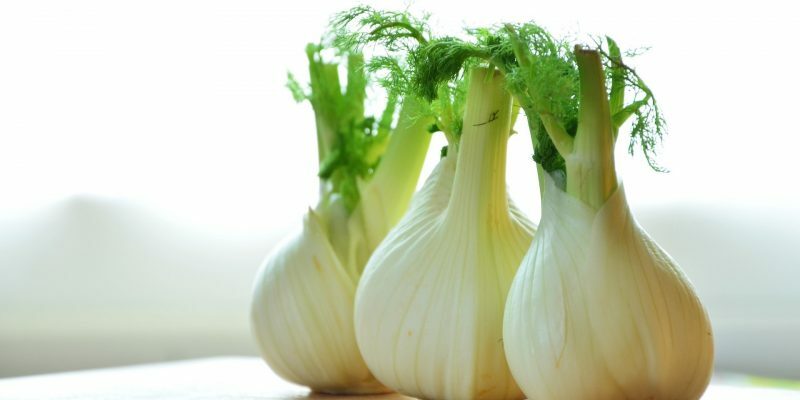 Fennel also has potassium, which is an essential mineral for reducing the risk of various medical conditions such as high blood pressure, stroke, bone and muscle loss, and kidney stone formation. Aside from all those mentioned above, fennel also contains vitamin B3, vitamin B6, riboflavin, thiamine, iron, magnesium, manganese, phosphorous, and an array of phytonutrients. 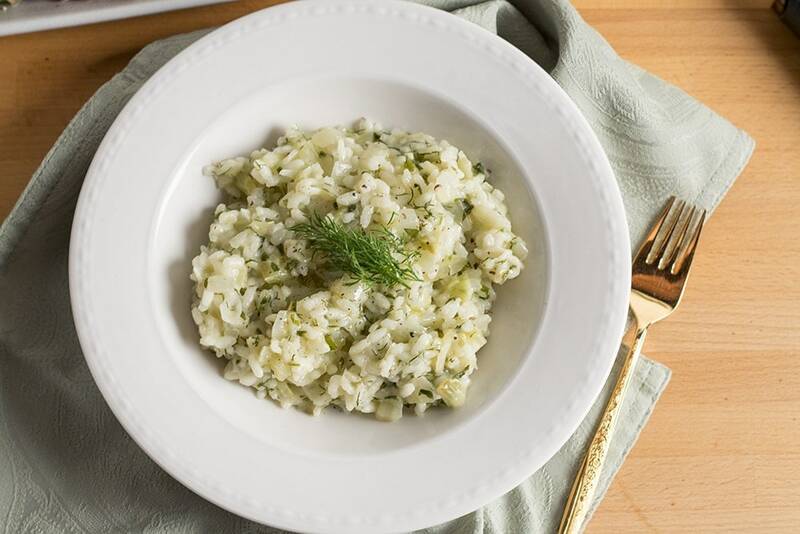 If you’re now persuaded to try Risotto with fennel, then let’s get right down to the savory recipe, shall we? 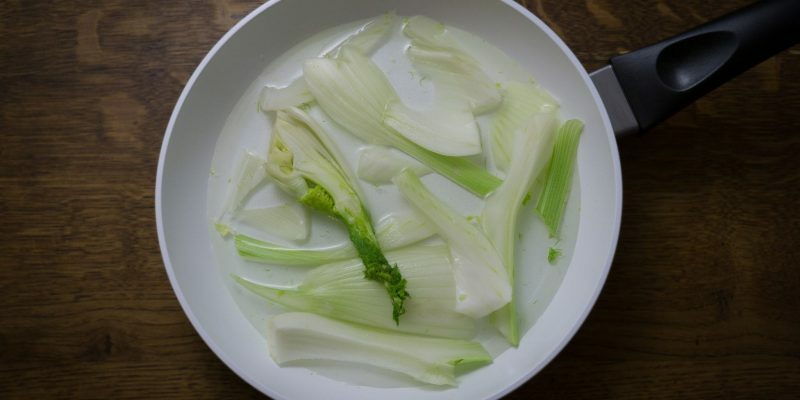 Clean the fennel, eliminating the stems and the two outer sheaths. Cut them in half, wash, and cut into thin slices. In a saucepan, heat the oil and put the finely chopped onion. Sauté gently without browning, then raise the heat and add the fennel and salt. Stir and let it simmer for about ten minutes. Add the rice, stirring constantly. Let it cook for 3 to 4 minutes. Add the wine and once most of it has evaporated, start adding the broth, one ladle at a time. Cook the risotto al dente. Remove from heat and stir in the butter and the grated Parmesan cheese. Cover and let it rest for a minute or two before serving.